Natural wood adds an organic and natural feel to your home. The natural beauty of wood, especially when enhanced by our beautiful finishes, will bring life and texture to your home décor. 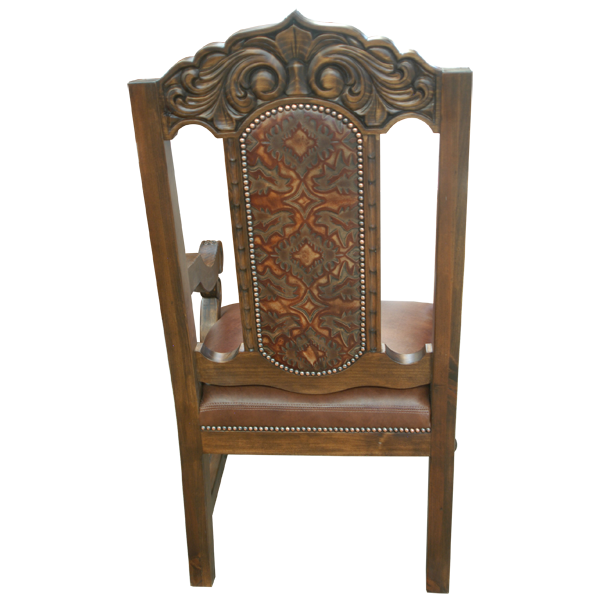 This solid wood, Spanish colonial style, handcrafted chair is made from the best, sustainable wood available. 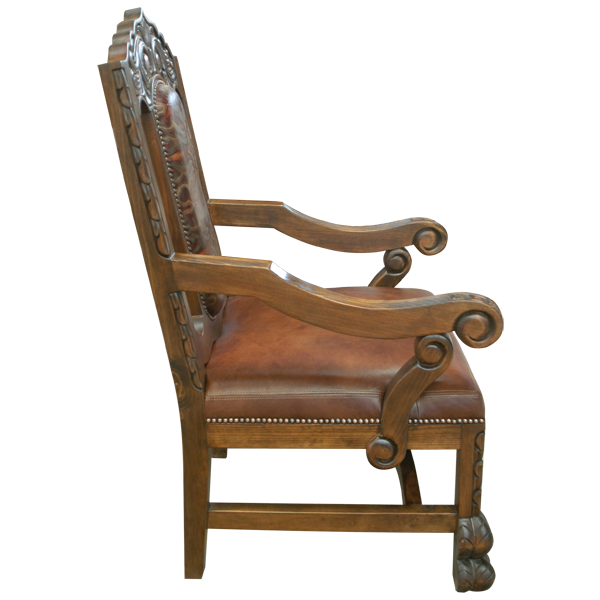 The chair has solid, sculptured, wood legs with double claw, hand carved feet. 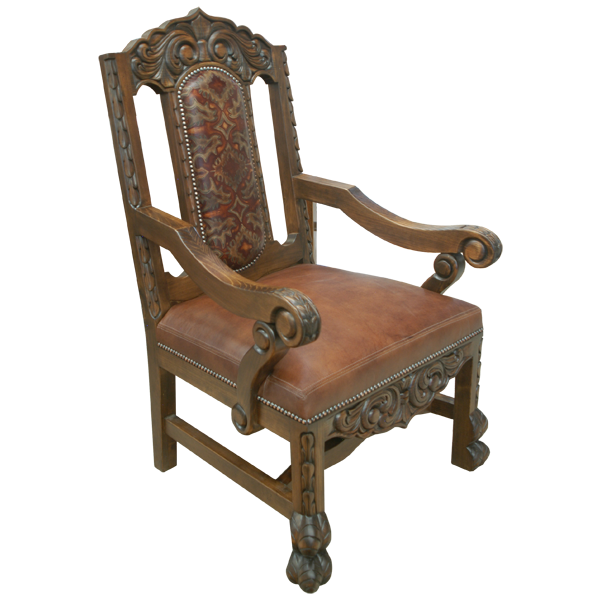 The legs are joined by an “H” wood turned stretcher, and the front skirt is highly decorated with ornate hand carvings The beautiful crest on the inside seat back of this custom chair is extensively carved with ornate floral designs. The seat back has open ovals on each side of the center splat, and the center splat is upholstered in brown, embossed full grain leather. 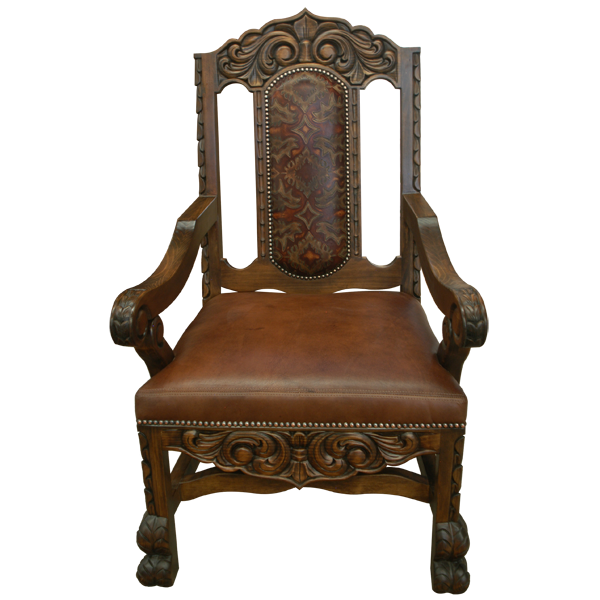 The padded seat is upholstered with rich, brown full grain leather. The upholstery is precision hand tacked to the entire wood frame by our skilled craftsmen. The chair is 100% customizable.